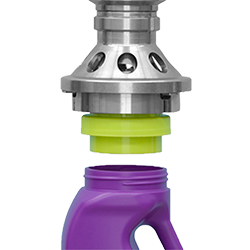 ProBloc™ is a high-efficiency integrated tri-bloc system for light to semi-viscous liquid personal care products. It can be configured for 8 oz. (236 mL) to 32 oz. (946 mL) containers with speeds up to 400 cpm. 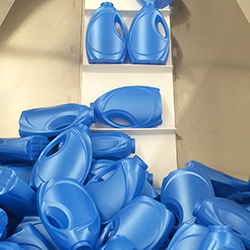 ProBloc is offered through and supported by ProMach Filling Systems. As an integrated bloc system that labels containers prior to filling and capping, ProBloc provides higher operating efficiencies and lower scrap costs than separate pieces of equipment performing the same functions. ProBloc systems are configured with labeling, filling and capping capabilities tailored to each customer’s requirements. For more information, call ProMach Filling Systems at + 1 (844) 838-1704, email us at ProBloc@ProMachBuilt.com or complete and submit the form on this webpage. Labeling empty – Labeling empty containers with an inspection / no fill / rejection system dramatically reduces filled container scrap costs and yield loss. Space efficient – Bloc design reduces overall equipment footprint and saves valuable floor space. 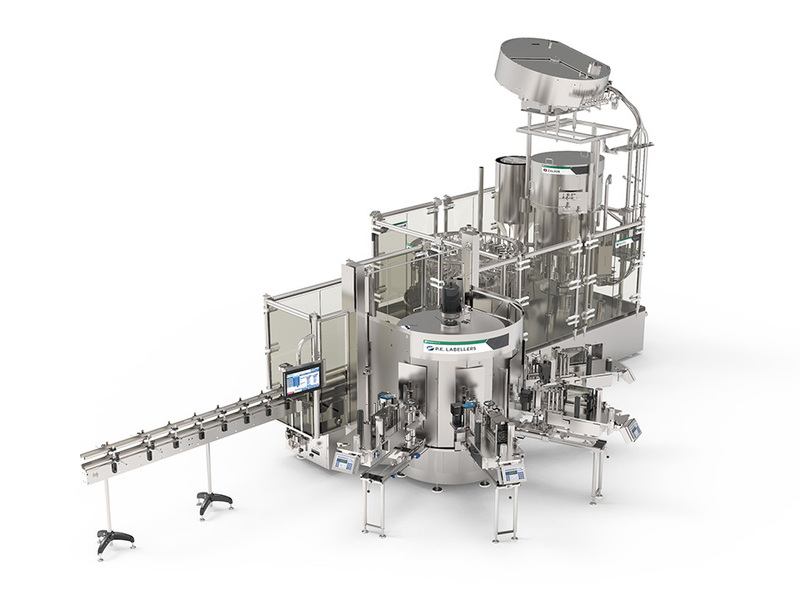 Smooth, optimized container handling – Bloc starwheel to starwheel container flow optimizes control through the labeling, filling and capping process. Tool-less container changeovers – Color coded, no tool change parts make container changeovers simple to execute. 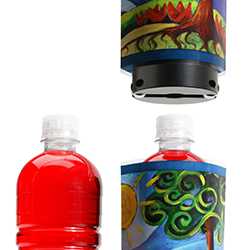 4-axis adjustment of pressure sensitive labeling heads - Assures precise label application. Internal barrier enclosures – Stainless steel and polycarbonate panels shield and protect the labeling station from the filling station during production and CIP. One call support – ProBloc is supported by a dedicated team of highly trained ProMach technicians. 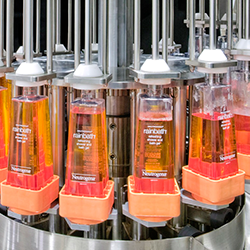 Technical support for labeling, filling and capping systems is one phone call away.